Whether you’re a company of 6,000 employees or just a team of two, the world of engineering or manufacturing can be overwhelming with the amount of data on parts and general product data. 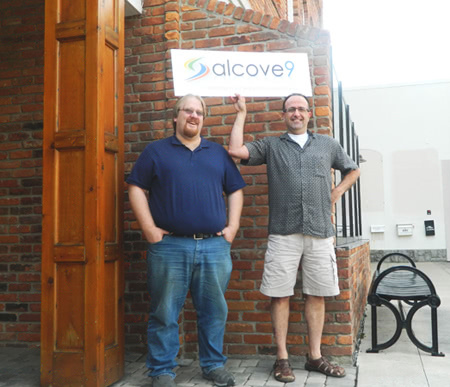 Alcove9 is a Michigan based startup that acts as a browser based search engine for company data. It’s an on premise solution that allows users access to the wealth of information already available but not easy to locate on their systems. The Library of Congress has eight alcoves that physically house all of the Library’s records, books, and documents. It also has a virtual “ninth alcove”, which contains the electronic versions of their knowledge base. So, we coined Alcove9 to represent a virtual alcove to act as a unified access for companies to search for and find their own information. Check emails. Because we have users and developers across many time zones, our day isn’t a typical 8 to 5 day. It’s not uncommon for me to start my morning with a plethora of new emails to respond to that came from Europe or Asia Pacific. 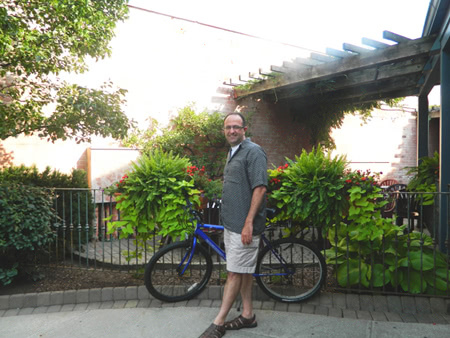 I started with just one: I first hired Rudy Reyes as our Director of Customer Success. I had worked with Rudy before, and knew he had an exceptional blend of creating customer centric experiences and an extensive IT background. We now have 3 people in our Michigan office and about 10 on our development team in California, and we are continuing to grow. My biggest struggle in the early days of Alcove9 was marketing. It was a monumental task to get our name out to as many analysts, technology partners, potential customers and, of course, the blogosphere and social media. The analysts at the time had not heard of Alcove9 and to gain some of their mind share to do an analyst briefing was a struggle. Now I look back at it and see how much we have accomplished in our first year as Alcove9 and I feel very happy and proud of the team that helped me do it. The road to success is rarely a straight line, and a set-back doesn’t necessarily mean failure as long as you learn from it. For me, daily goal-setting keeps me on track for when challenges arise, and it gives me something constructive to focus on when faced with a set-back. We also set goals as a team each Monday morning and assess progress at the end of the week. I’d like to think we’ve struck a happy medium. We dress down at the office and dress up for conferences, networking events, and private demos. Our technical support manager likes to listen to stand-up comedy while he’s writing technical docs, our marketing strategist ruins everyone’s diet often by baking for the office, and we frequent a local sandwich shop. 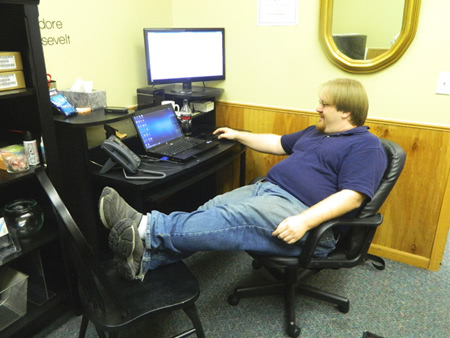 We all work long hours and put in 110%, but we also like to laugh and have a relaxed atmosphere. I have high hopes of taking on new challenges and growing to be a market leader in product data search. However, I’m focused on the job at hand, and the pace that any advancement happens will be determined by whether we’ve really earned it or not. Our goal is to perform beyond our own expectations and believe that will create opportunities to grow. Successful people that made it against all odds. People that despite all the challenges they faced along their journey they persevered and succeeded to reach their goals and beyond. People like Thomas Edison, Walt Disney, Steve Jobs, J.K Rowling just to name a few. I love to read books by inspirational and successful people. I’m currently reading Outliers by Malcolm Gladwell, in which he discusses the idea that there is a logical algorithm that determines why people become successful. It incorporates generational influences and your upbringing in addition to talent and thousands of man-hours as conclusive predictors of success. Being an engineer, I’m intrigued that Gladwell analyzes success and self-actualization with rationality and arithmetic. Alcove9 is entirely self-funded by myself and my partner Martin van der Roest. My advice is pretty basic: concentrate on sales and marketing from day one. There are many ways that you can do that without a whole lot of capital. Approach your contacts and prior customers first, they are the people that know you and can trust you. Customers most of the time – if not all the time – buy from people that they can trust. Network as much as you can and utilize the media, analysts, and various aspects of social media to launch your company and product names. Most of these things don’t cost much money and they can provide a very good launching pad. I’d be flying a plane. I always loved the feeling of flying. Since I was a little boy I had dreams of flying by spreading my arms and soaring up in the sky (Yes, Superman magazine was a favorite of mine at that time). In fact, I do plan to pursue a pilot’s training program at the right time in the near future. Success is defined in so many ways. Success to me is all about achieving the goals that you set for yourself and your business. So, yes, I consider myself a successful entrepreneur. LinkedIn. There is so much that you can find out about businesses, potential customers, professional people that you meet along the way, and old classmates and acquaintances. It’s a great connection and networking tool. By far my TeleNav GPS Navigator app on my Sprint mobile phone. That app has gotten me out of trouble so many times and has saved me time looking for so many different locations, establishments, business phone numbers, etc. I can’t live without it whether I’m around home or work. This will get me in trouble – one employee has two dogs and another has two cats and they have a running debate about which is better. I’ll just say this: My wife is allergic to both. It’s Google for your business. 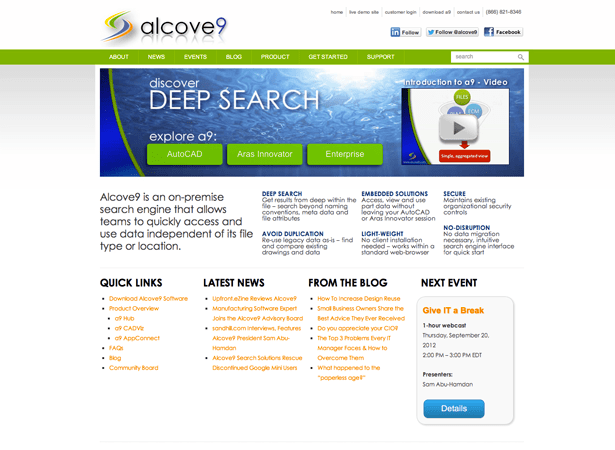 The way you search Google for everything on the internet is how Alcove9 searches for everything in your company. We can be the one-stop shop for all data found anywhere in your organization. We like to make it easy for anyone to get ahold of us, so we’re present on all of those social media channels. We’ve found LinkedIn to be a great source to connect with our users too. 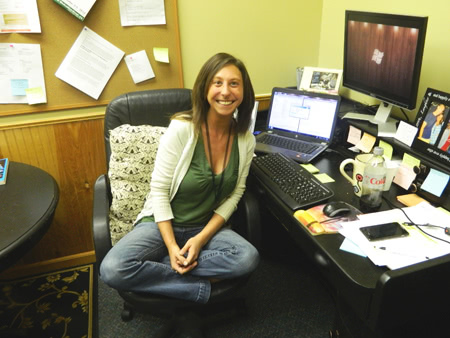 Plus, Meghan mans our phone lines at 248-287-1444 and our support team manages our email. We have a blog on our website where myself, our Technical Support Manager, and industry experts post tips, advice, resources, and news throughout the technology discipline. Other projects include monthly webinars, how-to and demo videos, and building an excellent helpdesk knowledge forum.